Find attached the term 3 reports. Thank you so much to Edublox for the efforts. For the first time this year, my kids reports were among other kids with pleasing progress. Previously the teachers had to discuss the performance and concerns with me when collecting reports, this time they were on the sign-n-take table with others. I was so happy and thank God for this programme. I came at the right time — though my kids only started in late May, I can already see the good results. It’s working. 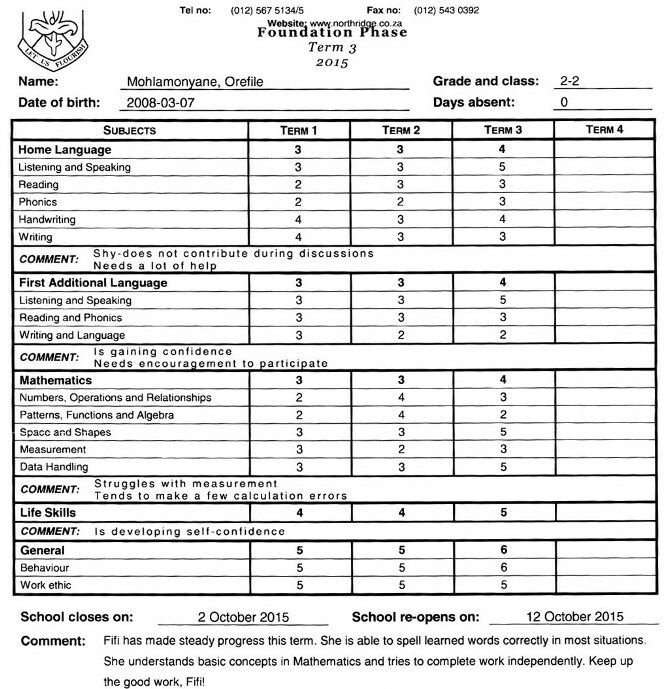 I’ve also attached the remedial report for Ofentse. 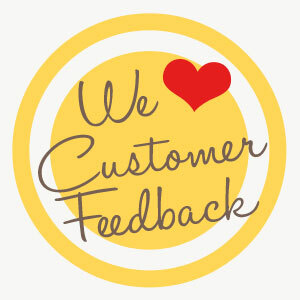 We are so pleased and we do see the progress, they even gained confidence in their work. 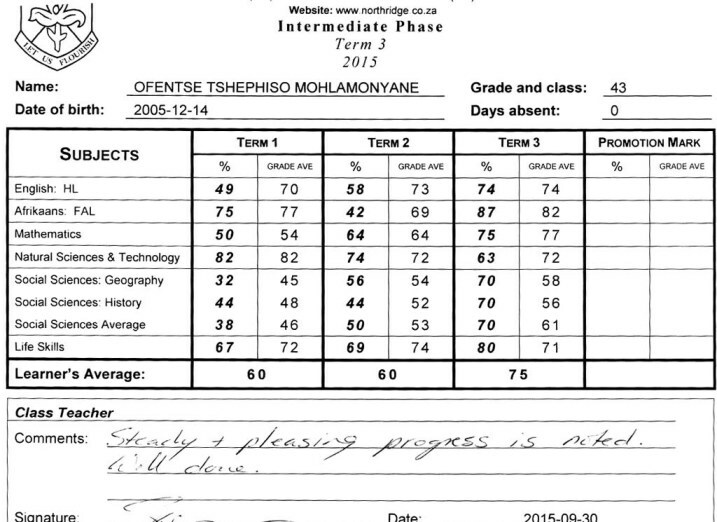 Ofentse’s average improved by 15%! And Fifi is improving as well!